ON Saturday 25 June SFS Workshop Admininstrator, Craig Fuller, will run his sixth marathon, The Malvern Midsommer Marathon, marking the halfway point in his challenge to run 12 marathons in as many months, to raise money for The Meningitis Trust and Northampton General Hospital Intensive Care Unit. Despite an early injury to his Achilles tendon Craig has completed all five races, running his best time of 4.5 hours during the Shakespeare Marathon in Stratford-upon-Avon in May. 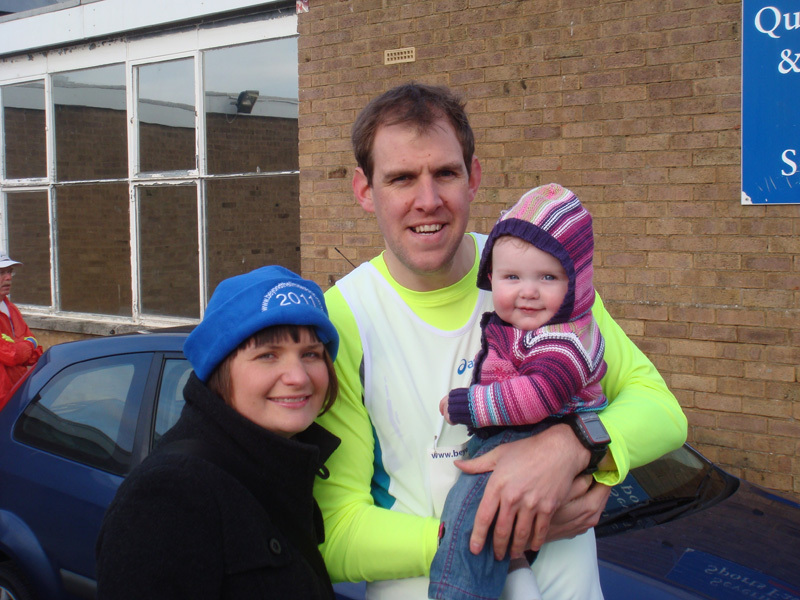 Craig’s wife, Katie, and one year old daughter, Poppy, have been very supportive, attending each race and keeping Craig going by cheering him on at points along each route. So far Craig has raised nearly £2,000 for the charities and SFS managing director, Bob Sweetland, has promised to donate an additional £100 each time Craig completes a race. Craig decided to raise funds for both charities as a thank you for their support when his wife Katie, 30, was diagnosed with Meningoencephalitis, an illness that attacks both the brain lining and brain stems, in 2008. Fortunately Katie made a full recovery but many sufferers are not as lucky. To support the Meningitis Trust visit Craig’s 'Virgin just giving' site at www.virginmoneygiving.com/CraigFuller ?